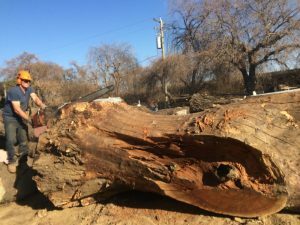 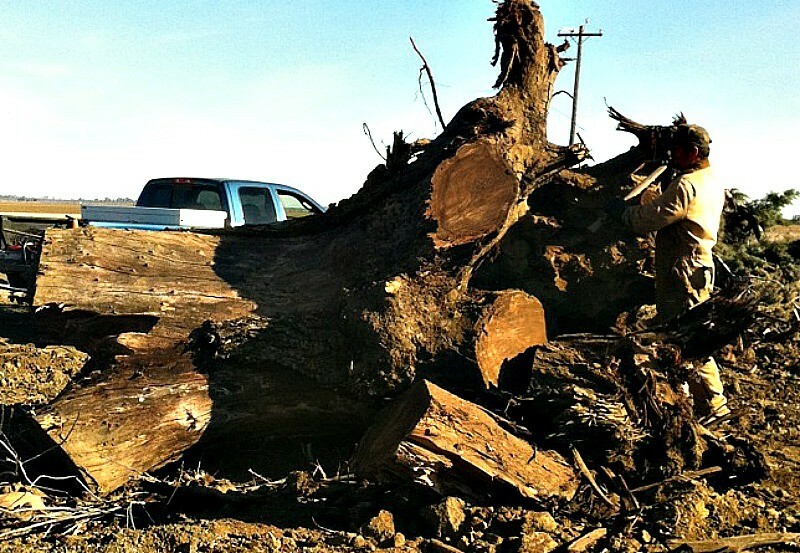 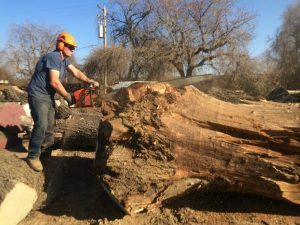 We were driving out to a job in Dixon,Ca when we drove past a walnut orchard and 2 large Black Walnut trees that were just recently knocked over by an excavator. 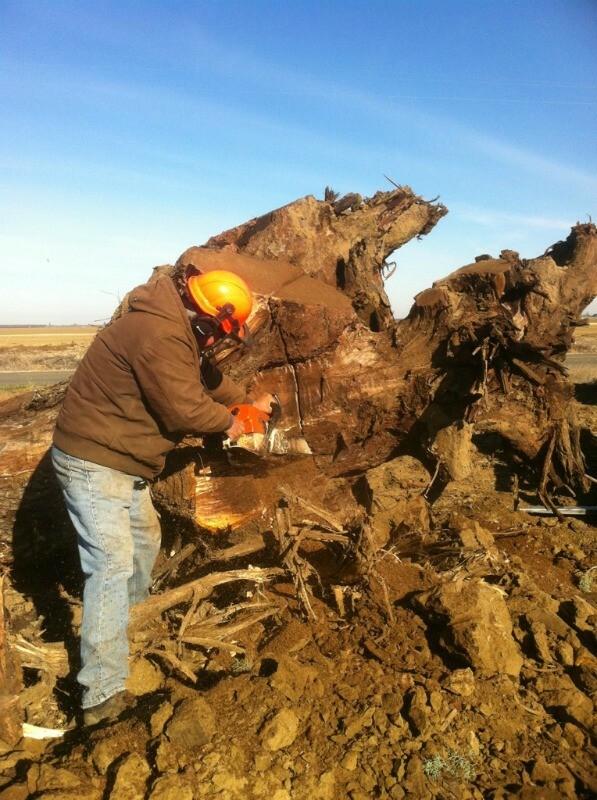 We contacted the farmer and told him what we do, and he let us on his property to harvest the trees and some burls that were in the orchard. While talking to him, we found out that he was removing all of the trees to replant another walnut orchard with a different variety of nuts. 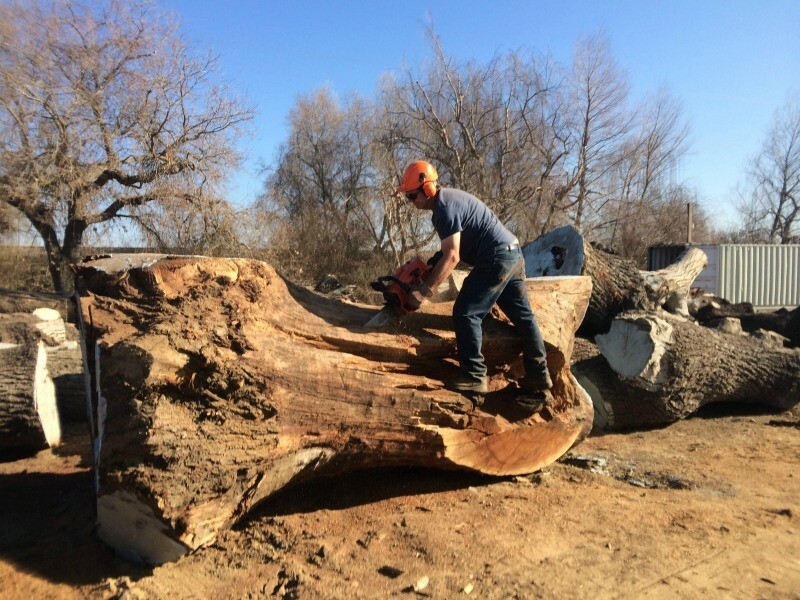 His plan was for a chipping company to come in and chip all of the trees. Luckily we found him before that happened. 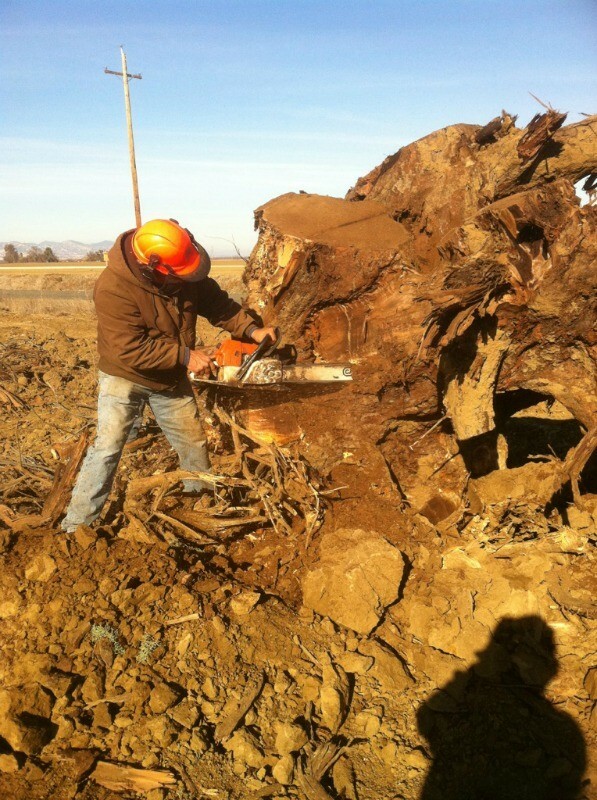 The excavator severely damaged both of the large Black Walnut trees by ripping off the branches. Most people would say they were useless but, not us. We saw not only the beauty but, the potential in both of these trees. We will get nice walnut wood slabs out of both logs that will eventually make gorgeous furniture. 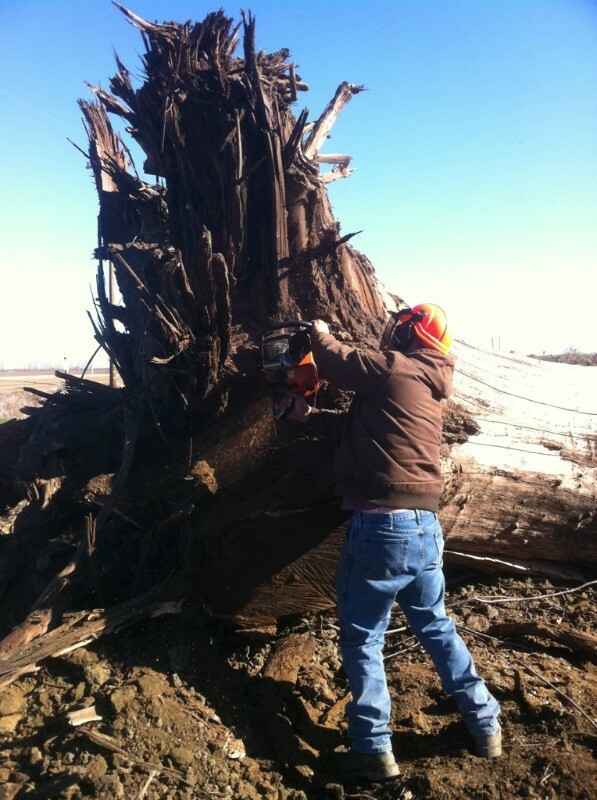 We were also able to salvage an upper from one of the trees on the job that will make very nice slabs.